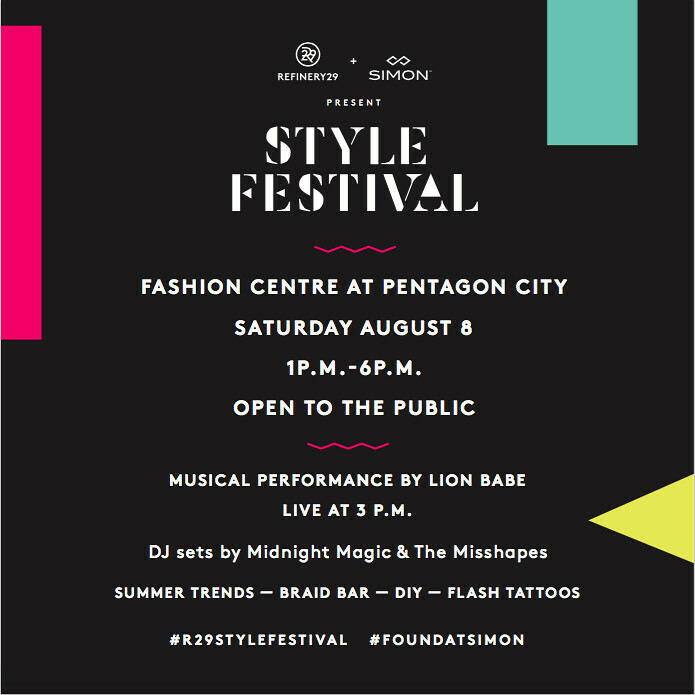 For all my local DMV peeps, I am so excited about the style festival this weekend which is being thrown by Refinery 29 and Simon at the Pentagon City Mall (which is the local mall that I shop at all the time on weekends/my lunch break). It's going to be a fun combination of music, fashion and shopping! There will be several “stages” set up (the deets are outlined below) and performances by LION BABE and DJs Midnight Magic and Misshapes. I will definitely be making the rounds and getting some shopping in, don't miss it! “Sound Stage” Musical Performances: Style Festival attendees will have the opportunity to see LION BABE live in concert at 3 p.m. Shoppers can to sway to the music of the dynamic duo, made up of vocalist Jillian Hervey and producer Lucas Goodman, and their fearless, upbeat brand of R&B. DJs Midnight Magic and Misshapes will also be performing at 1 p.m. and 4 p.m., respectively. 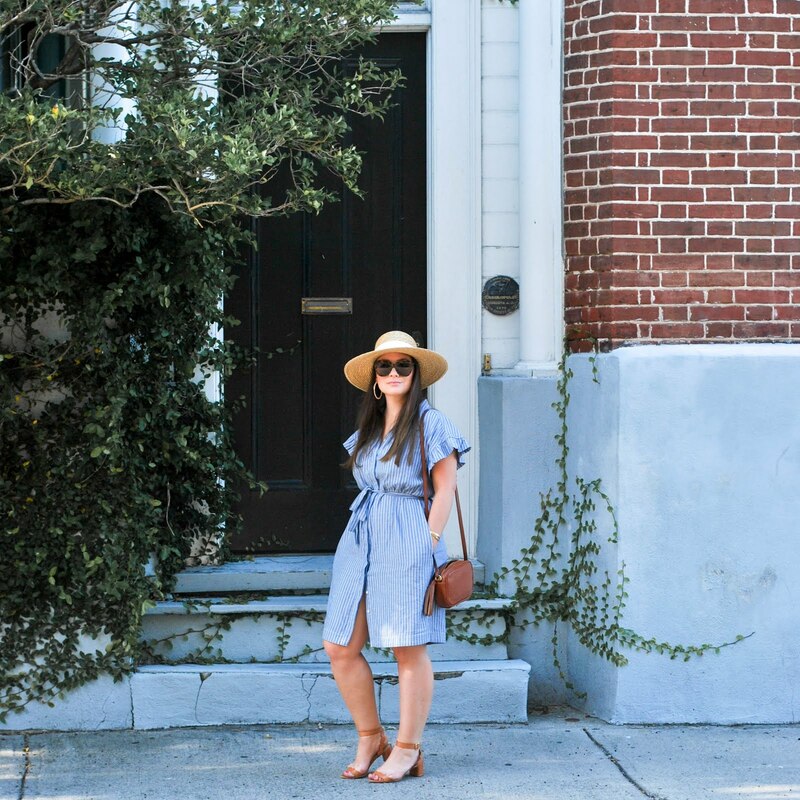 “Style Stage” Indie Boutiques and National Brands: Independent boutiques and retailers will create an interplay between the native, in-market shopping experiences and popular national retail brands, all within the mall landscape. This shoppable “stage” will be inspired by summer’s trends curated by Refinery29 editors, such as “Jean Scene” and “Fringed Benefits,” and feature select items from local boutiques Style Mafia, Gossip on 23rd, Violet D.C. and Supra Endura. “Beauty Stage” Beauty Bars: A beauty team will be on-hand at pop-up beauty bars to give shoppers festival-inspired hair trends that have been curated by Refinery29 editors. Festival-goers will also have the opportunity to select from a range of metallic, jewelry-inspired, temporary tattoos at the pop-up tattoo parlor courtesy of Flash Tattoo. “DIY Stage”: Style Festival guests can personalize custom band-inspired tour tees, taking home a keepsake souvenir from the experience.